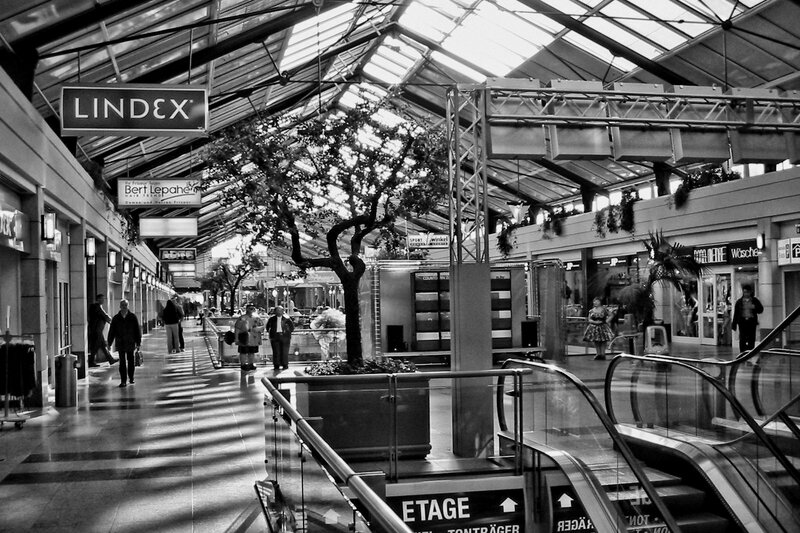 Another look at Mülheim’s Forum shopping center, this is the upper level. I have no idea why that wall of televisions was there – maybe there had been some football thing in March 2003 when I shot this photo. I could go and take some current photos, but with the current paranoia going on, I suspect I might get in trouble for photographing private property! But it doesn’t look much different today and it’s not really interesting anyway. 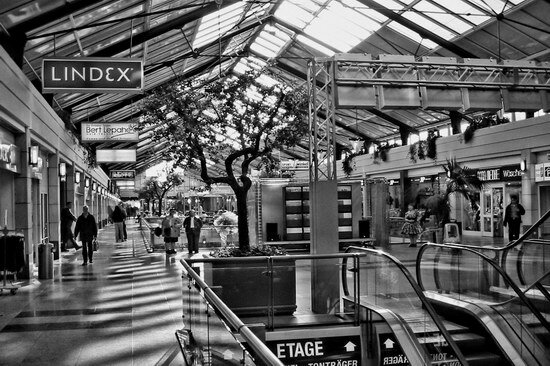 We actually have a much bigger shopping center in Mülheim, the Rhein Ruhr Zentrum, but we haven’t been there in twenty years or so because it’s too far away from where we live. The City Views series is now going to take a week or so off to recharge its batteries and to give me a chance to cobble together some more photos from the archives.